IMPALA shares its views on the EC’s proposal for a new Directive on copyright, published today. Part of a wider strategy to reinforce Europe's digital market, this proposal covers a range of sectors, including music where independent companies are at the forefront. “For everyone in the music ecosystem to benefit, the starting point is fair negotiations and remuneration for creators and their partners. This is vital for artists’ self-determination and freedom of expression”, she added. "More work is needed to make sure the draft is fully effective, but this is a good start." She continued: "This proposal will help remove some of the friction in the licensing market. It will also stop services providing discriminatory access to their content identification systems." 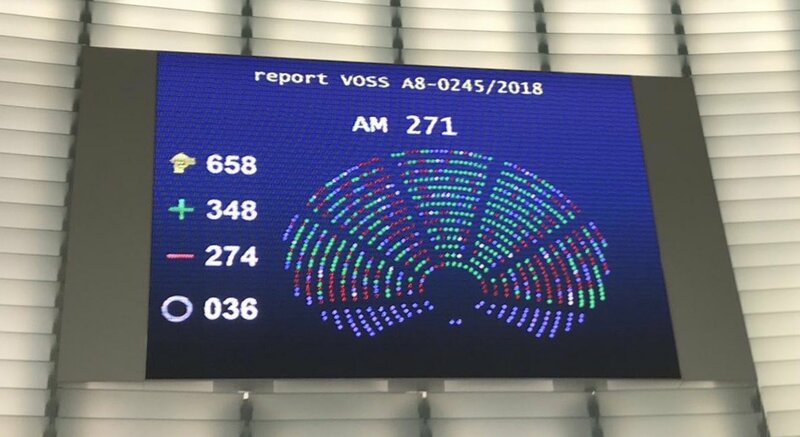 Commenting on the transparency provisions for performers and authors, Helen Smith said: “Our members are proud of their relationship with artists.” More than two years ago the independent sector adopted the Fair Digital Deals Declaration supporting transparency and proper remuneration for artists. "Further work is needed to ensure the contract adjustment provision does not go beyond its original intention. We need to be able to maintain our current levels of investment and risk. This is important because 80% of all new releases rely on investment from independent music companies" commented Helen Smith. Today’s proposal is a step towards a fairer and more inclusive online environment. Helen Smith concluded: “The EU is also looking at wider questions regarding the role of platforms. We expect proposals that will end the type of unfair trading practices our members have experienced in their dealings with certain platforms." IMPALA’s vision of how to boost the digital market can be found here. IMPALA was established in April 2000 to represent independent music companies. 99% of Europe’s music companies are SMEs. Known as the “independents”, they are world leaders in terms of innovation and discovering new music and artists - they produce more than 80% of all new releases and account for 80% of the sector's jobs (for more information, see the features of independents). IMPALA's mission is to grow the independent music sector, return more value to artists, promote cultural diversity and entrepreneurship, improve political access and modernise perceptions of the music sector. To celebrate IMPALA’s 15th anniversary, various initiatives are taking place across Europe under the “IMPALA 15” banner, including special editions of the IMPALA awards and events at industry gatherings such as Amsterdam Dance Event, Eurosonic Noorderslag, Tallinn Music Week, Westway Lab, Primavera, Midem, Reeperbahn etc. See the organisation's key achievements in IMPALA's first 15 years in milestones.